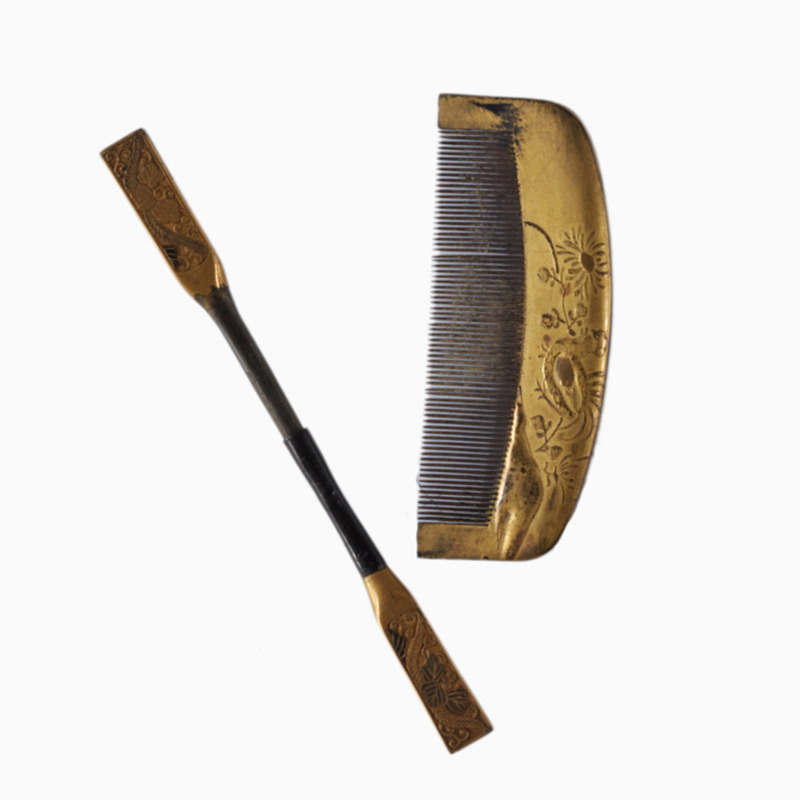 We like to imagine that this gold lacquered comb and hairpin set once belonged to a geisha -- and maybe it really did. 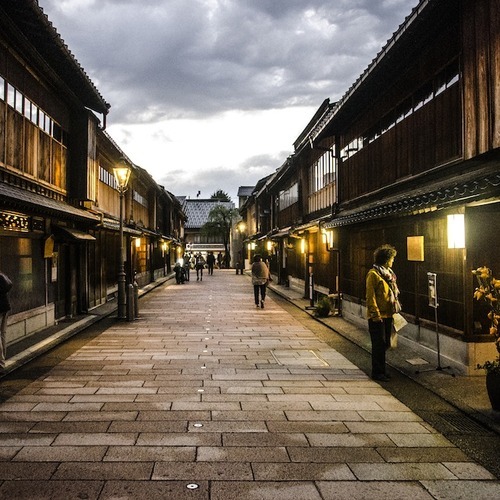 After all, Kanazawa is one of the few places left in Japan that still has a working geisha district. Comb: 3.5" l; hairpin: 5"l. Black and gold lacquered.